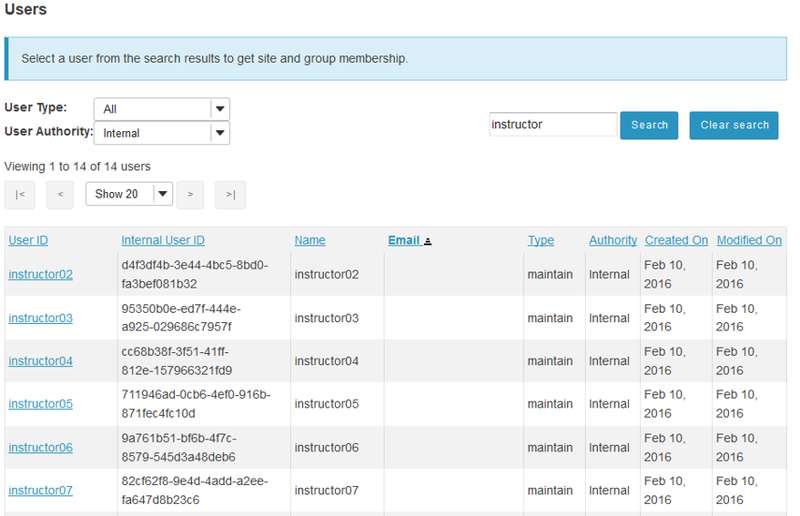 Sakai Community DocumentationSakai 11 - EnglishSakai 11 Administrator Guide User MembershipHow do I filter search results in User Membership? Zoom: Select the User Type from the drop-down menu. 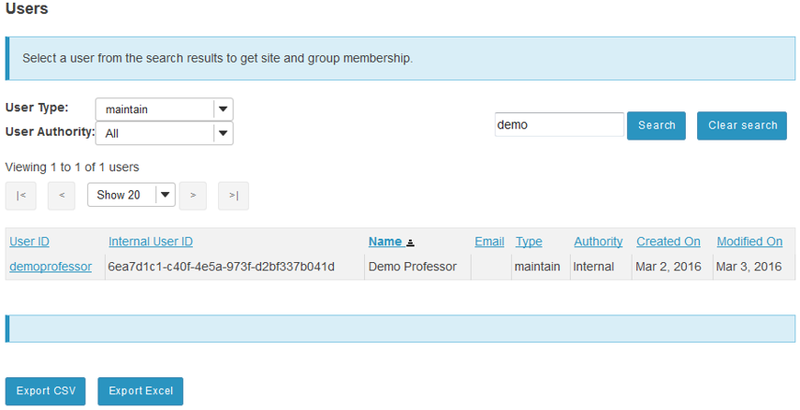 Zoom: Select the User Authority from the drop-down menu. Prev: How do I search for an account in User Membership? Next: How do I make a user active in multiple sites?